This facility has been set up to prepare the thin sections of rocks and sediments required to conduct the Institute’s archaeological research. 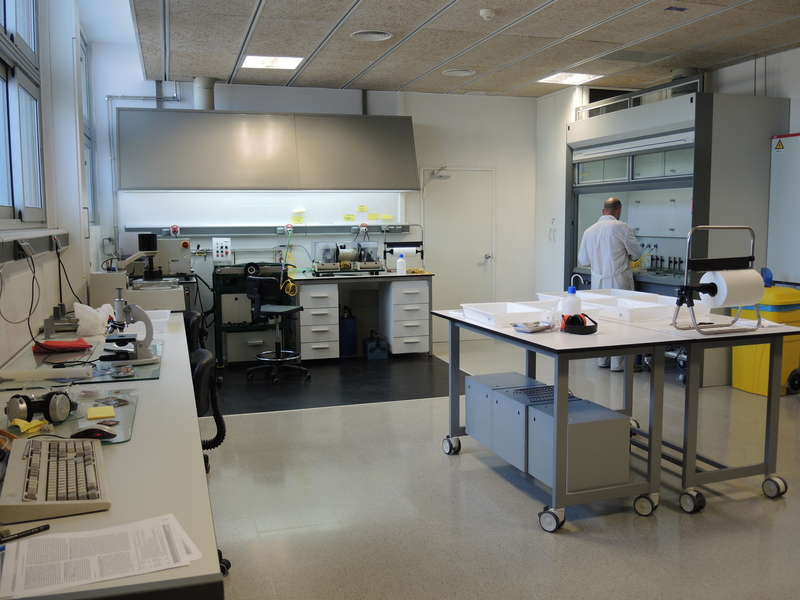 The 85 m2 laboratory is fitted with the specific machines and equipment for the complete preparation of thin plates for petrologic studies, and large format plates for micromorphology and soil studies. It is also equipped with petrographic microscopes.